For the apostle Paul, the city of Thessalonica was a strategic point for spreading the Christian message throughout a swath of the RomanEmpire. Though Paul spent only a brief time in Thessalonica, it was a fruitful time of sharing the good news of Jesus and establishing a local, thriving church, despite persecution. 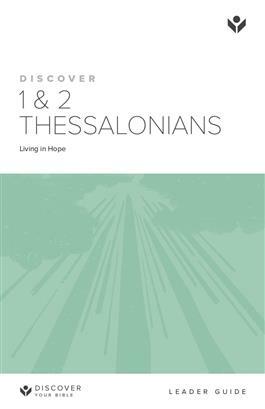 Though Paul’s letters to the Thessalonians were written around A.D. 50, they have much to say to believers yet today. How can I be sure that I am saved? How can I live a godly life? How do I deal with persecution? Am I ready for Jesus’ return? Through these short books of the Bible you’ll discover what it means to have faith in Christ and how you can depend on his Spirit to guide your everyday living.